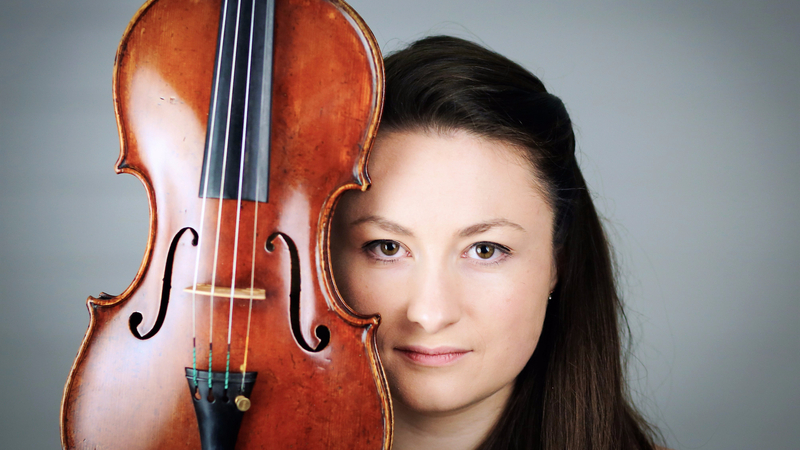 British violinist Laura Rickard is a versatile young musician who enjoys bringing music to the widest possible audience. She graduated in 2017 with a First Class Honours degree from the Royal Academy of Music studying with Professor Erich Gruenberg and Remus Azoitei having previously spent a year reading music at St. John’s College, Cambridge. Laura enjoys an active performing career with recent performances of concertos by Beethoven, Tchaikovsky, Elgar, and Sibelius and she gave her international debut with the Michoacan State Symphony Orchestra. As a keen orchestral player Laura spent two years as co-leader of the National Youth Orchestra of Great Britain, was leader of the Cambridge University Symphony Orchestra and has taken part in side-along projects with the Los Angeles Philharmonic and the London Philharmonic. Laura studies baroque violin with Nicolette Moonen and was chosen to join the RAM Baroque Soloists on a joint tour with the Juilliard School as well as performing at Wigmore Hall with Rachel Podger. Laura has recently joined the Orchestra of the Age of Enlightenment on an extensive tour of South East Asia and performances at Glyndebourne. Laura is a passionate chamber musician and has participated in masterclasses with Levon Chilingirian, the Henschel Quartet and the Brodsky Quartet. As a member of the Verano String Quartet, Laura was a laureate at the San Miguel International Competition. In 2015, Laura formed the Mila Piano Trio: recent highlights include their St. John’s Smith Square debut, reaching the finals of the St Martin-in-the-Fields Chamber Music Competition and winning the chamber music prize at Verao Classico in Portugal. Laura founded the Romsey Chamber Music Festival in 2018 bringing international artists to perform in her home town as well as running an extensive education programme. She held a fellowship at the 2014 Atlantic Music Festival and was invited to the Orpheus Chamber Music Festival, Vienna in 2015-2017.